Sprint and LG are going to release the first 5G smartphone in 2019. Ready for Sprint’s nascent next-gen network. Details about price and the release date are yet to be announced. 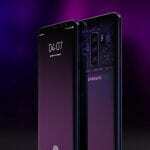 Both parties are confident their 5G smartphone will be the first to be released in the United States. Despite this being a global rivalry, companies still battle out to be the first in the US. The first commercial 5G networks will go live in the US later in 2018. Offering faster speeds, greater capacity and lower latency. 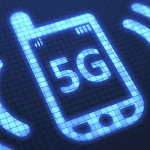 The four major US carries hold advanced 5G roadmaps. Sprint is the country’s fourth largest operator. 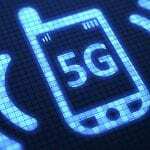 Planning to launch 5G in Atlanta, Chicago, Dallas, Houston, Kansas City, Los Angeles, New York City, Phoenix and Washington DC in 2019. Agreeing to a $26 billion merger with T-Mobile as they claim it will accelerate the rollout of 5G. “Sprint is moving fast on the road to 5G and we are thrilled to announce the first 5G smartphone with the innovative team at LG. LG has done tremendous work developing technical designs that enable us to be among the first movers in mobile 5G,” said Dr John Saw, Sprint chief technology officer. Both parties say they don’t have the means to build a truly national 5G network on their own therefore combining assets mean they will be able to this more rapidly than rivals AT&T and Verizon. Sprint confirmed an optimised LG device for its 5G network. With the number of premium smartphones set to announced in 2019, this provides LG and Sprint with a strong footing.